Visitors to Russia usually notice very quickly the slight differences in calendar presentations. First, a Russian calendar begins the week on Monday, and Sunday, ends the week as a day of rest. The календарь (calendar) above illustrates the month of Февраль (February) and the last two days of each week, Saturday and Sunday, are highlighted. Special holidays are highlighted on Russian calendars, too. Its no secret that Russians love any excuse to throw a party. So lets look at some of the most important celebrations in the life of a Russian/Ukrainian family. This is the big daddy of them all. The Russian New Year is celebrated January 1 and is when gifts are exchanged. They’re called “new year gifts” and the tree is a “new years tree.” Families come together and there are varying traditions which families might observe. For instance, our family tradition is to eat dinner in the home of extended relatives, with several of our relatives families’ all staying there all night for the celebration and in the morning join the throngs of walkers around Red Square. Its the one time of year when Russians will smile and greet strangers, wishing them a happy new year. Each year by Presidential decree the leader of the country declares the number of non-working (paid) days during his speech broadcast on national media from the Kremlin at the stroke of Midnight on 1 January. Russians decorate a “New Year Tree” for the holidays. Christmas is really a continuation of the New Year holiday since in Russia the New Year comes first on 1 January and Christmas arrives on 7 January. 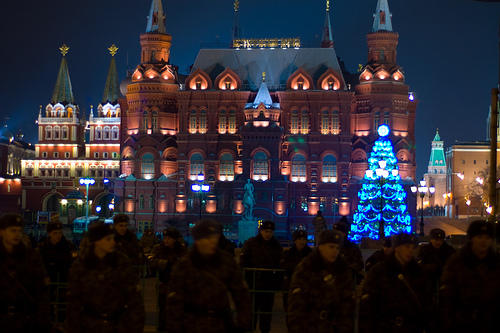 The Soviets banned Christmas but since 1992 Christmas has been openly observed in Russia. More feasts come on this day but the gifts were already exchanged on 1 January. Grandfather Frost (not Father Frost) and his granddaughter, the Snow Maiden. It’s often confusing to Westerners about Russian fasting but here is a brief summary. The fast (a mini-pashka or “mini-Easter”) begins 40 days before Christmas day, called the “Nativity fast.” Most families will break the fast on 1 January and then go back to fasting until Christmas arrives. The Christmas feast has very specific foods which are eaten for symbolic reasons. Only in Russia can you celebrate New Year’s twice! The traditional Slavic Orthodox holiday celebrated as the start of the New Year by the Julian calendar. Now the “Old New Year” falls on January 13/14. This is both a secular and a Russian religious holiday observed on January 25. It is named after Saint Tatiana, a Christian martyr in 2nd century Rome during the reign of Emperor Alexander Severus. Because the church of Saint Tatiana was built on the Moscow State University campus, the Russian Orthodox Church declared Saint Tatiana the patron saint of students, and Tatiana Day has become celebrated as Russian Students Day in more modern times. 23 February, Russia honors those who are presently serving in the Armed Forces and those who have served in the past. During the era of the Soviet Union, it was called “Red Army Day” or the “Day of the Soviet Army and Navy” (celebrating the day of the first mass draft of the Red Army in Petrograd and Moscow and the first combat action against the invading German forces). 8 March: since there is no historic celebration of Valentine’s day in Russia, this is the best day to declare love to your sweetheart. And your mother, and grandmother, and aunts. It is traditional on this holiday to present the women (plural) in your life with gifts and flowers to express appreciation for their work, love and devotion. Think of it as Valentine’s day and Mothers day wrapped into one. [attachimg=5] Women shopping for flowers. This is also known as Cheesefare Week, Butter Week, or Pancake week is a Russian religious and folk holiday. It is celebrated during the last week before Great Lent—that is, the seventh week before Pascha (Easter). During Maslenitsa week, meat is already forbidden to Orthodox Christians, making it a “myasopustnaya nedelya” (мясопустная неделя) “meat-empty week” or “meat-fast week”. During Lent, meat, fish, dairy products and eggs are forbidden. Furthermore, Lent also excludes parties, secular music, dancing and other distractions from the spiritual life. Thus, Maslenitsa represents the last chance to partake of dairy products and those social activities that are not appropriate during the more prayerful, sober and introspective Lenten season. Even the government changes it’s diet for the Easter fast and the Kremlin kitchens are among the nation’s largest producers of Easter bread/cakes. The Easter time celebration is by far the most important in the Russian Orthodox Church. Many of the symbols of this celebration are already familiar to us. [attachimg=6] The gorgeous folk-art Easter eggs created in the same manner for centuries as a traditional Ukrainian folk art are easily identified by their intricate patterns and colors of red, black and golden-yellow. Equally impressive are the images of the bejeweled and bedazzling enameled eggs created by court jeweler and artist Karl Fabergé. These fabulous works of art were first commissioned in 1884 by Czar Alexander III as a special Easter present for his wife the Tsarina. April 12 is the day to celebrate the first manned earth orbit. It was established in the USSR on April 9, 1962. It is celebrated in honour of the historic first manned space flight made on April 12, 1961 by 27 year old Russian cosmonaut Yuri Alekseyevich Gagarin of the USSR, who made one complete orbit around the Earth (lasting 1 h 48 min) aboard the spacecraft Vostok 1. In the former Soviet Union, 1 May was International Workers’ Day and was celebrated with huge parades in cities like Moscow. Though the celebrations are low key nowadays, several groups march on that day to discuss the grievences of workers. But for most it’s another chance to party! Every 9 May, Russia celebrates the victory over Nazi Germany, while remembering those who fell in order to achieve it. 9 May was chosen, since in the night from 8th to 9th 1945 the German military surrendered to the Soviet Union and the Allies in Berlin for people in Russia this happened on the 9th (due to time zones). A military parade is held in Moscow to celebrate the day. [attachimg=8] Lots of poeple visit Moscow’s expansive Victory Park on this day. [attachimg=9] At night the Victory Park fountains run “blood red” as a reminder that over 20 million Russians lost their lives during the Great Patriotic War (WWII). 7 July in the new calendar or 24 June in the old calendar. The name of this holiday combines the words “Ivan”, the Slavic name of John (the Baptist), and “Kupala”, a word derived from the Slavic word for bathing, as it was the first day of the year when the church sanctioned bathing and swimming in rivers and ponds, though the term is also consistent with John’s baptizing people through full immersion in the water. November 4. Unity Day, first celebrated in 2005, commemorates the popular uprising led by Kuzma Minin and Dmitry Pozharsky which ejected the Polish invaders from Moscow in November of 1612, and more generally the end of the Time of Troubles and foreign intervention in Russia. The event was marked by a public holiday which was held in Russia on October 22 (Old calendar) from 1649 till 1917. Its name alludes to the idea that all the classes of Russian society willingly united to preserve Russian statehood when its demise seemed inevitable, even though there was neither Tsar nor Patriarch to guide them. This holiday is a replacement to counter Communist demonstrations on November 7 holiday, which marked the anniversary of the October Revolution (old calendar). Recently the film “1612” was made to explain to the Russian audiences the history behind the new holiday. It is also known as the Day of Consolidation. The dates for each city celebration of course varies by city but most cities celebrate their founding date with fireworks, concerts, speeches by local politicians and other figures, food, drink, and other city-specific festivities. 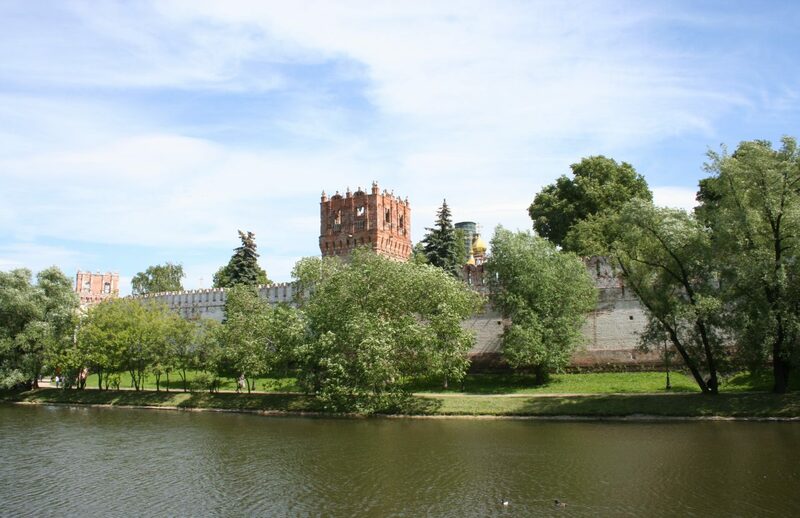 For example the city day for Moscow is the 31st of August and, for St. Petersburg, the 27th of May. The city day for Kyiv, Ukaine is 31 May. [attachimg=10] Kyiv – Independence Square at night. Russian holidays represent an eclectic mix of religious and secular occasions. The Russian New Year is the most celebrated holiday, but many Russians also celebrate May Day or Spring and Labour Day. Men celebrate the Soviet Army Day on February 23, whereas women celebrate Women’s Day on March 8. The country also celebrates Victory Day on May 9. This sacred holiday pays homage to the fallen Russian soldiers who died in World War II. June 12 is called Russia Day or Independence Day; this event is considered to be the country’s official national holiday. Religion plays an important part of the Orthodox faith so most holidays are based on religious celebrations. Orthodox holidays include events such as Рождество (Christmas), Lent, Palm Sunday, Good Friday, Пасха (Paskha is Easter), Ascension, Pentecost and All Saints Day. Eastern European countries celebrate Christmas on 7 January and it is a real Christian holiday. The exchange of presents and other things done in the West around Christmas are observed on New Year’s Day. While January 7-8 has been the day to celebrate Christmas for over 1,000 years in the East, the day for Easter “floats” and is calculated on lunar calculations much might our Western (Roman Catholic) Easter “floats” from year to year.Usually however Easter in the Eastern world is celebrated about a month after Roman Catholic Easter is celebrated by Catholics and Protestants in the West. The 2010 day for Easter in the East is April 4 of 2010. The Russian word for Easter is Пасха. “Pashka” the word for “resurrection” in ancient Greek. Holy week, beginning with Palm Sunday, is a time of spring cleaning and baking Easter bread. On Holy Thursday, Russians paint Easter eggs using their traditional method of boiling onion peels and scraps of silk together with the eggs. Painted eggs in Ukraine and Russia take on even greater spiritual symbols of death and the hope of resurrection and there is no Easter “bunny” or other modern creations in the celebration. The Orthodox calendar features many religious events including feast and fast days. It revolves around Easter which is considered the most important of all feast days. The “twelve great feasts” are also very important, and they feature 3 feasts devoted to Christ and 4 to the Virgin Mary. The four main fast periods include Lent or the Great Feast, the Fast of the Apostles which lasts 1-6 weeks, the Fast of the Repose of the Virgin Mary and the long Christmas Feast which lasts from November 15 to December 24.